Universal billet steering plate for 7/8" bars. 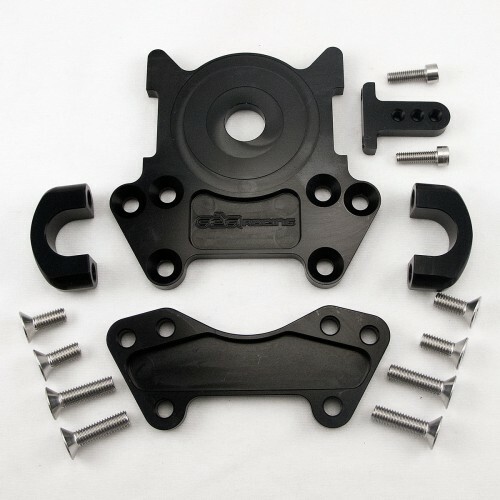 Steering cable mount can be mounted on either side of the plate. This plate will work with the UMI and Blowsion style sealed bearing systems. This can also be used on the Kawasaki SXR by relocating the pivot post in the stock subplate to the forward hole. Includes everything shown.